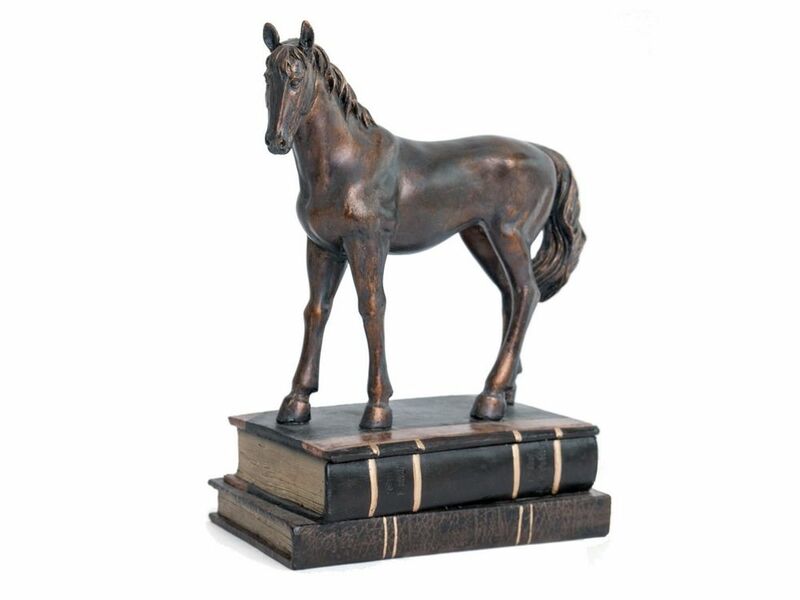 Hailed as one of nature's most intelligent and gentle beasts, it is fitting that this bronze horse sculpture shows the animal proudly standing on a set of books. This resin horse sculpture beautifully catches the light to illuminate the animal's strong, muscular form and the rich, coffee tone of bronze give it a real feeling of majesty and grandeur. Standing atop two worn, aged books, the front cover of the top book (with the horse attached) lifts to cleverly reveal a secret storage vault. The horse on books ornament has a gorgeous antique appeal that will bring character to any surface, while at the same time stowing your treasures.